Introduced by the Dutch in 1696, Java is a classic full-bodied coffee. The cherry is wet hulled, which is how it gets the earthiness characteristic. During the drying process, the bean is prematurely hulled from its parchment/skin. The process is in place to get the bean to market faster. 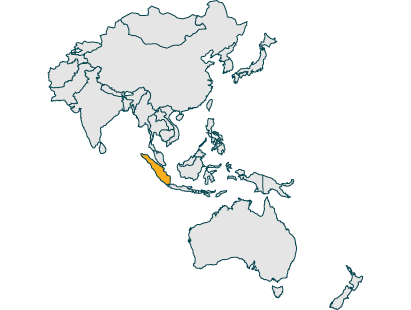 For this, Java, Indonesia is one of the biggest producers of coffee in the world. 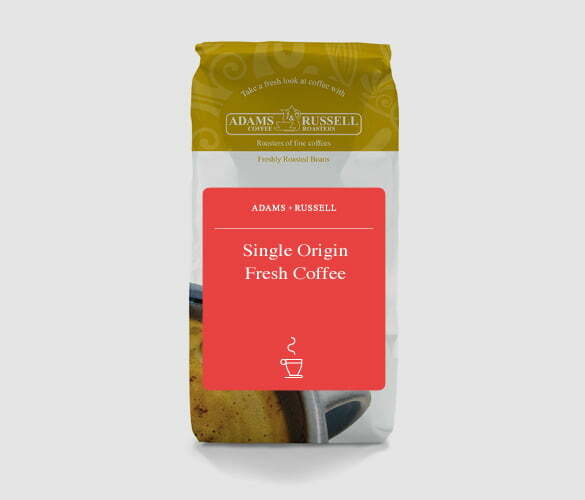 Typically, the less you roast beans the more you can taste the natural flavours of the green bean – this is new generation of coffee whereby the delicate nuances each bean acquires are more important than just a daily caffeine hit. However, darker flavours will always be a favourite amongst some and this Java bean is packed full of flavour. The sheen coating of the bean gives a great roasted taste, with a low acidity which is great for coffee drinkers who take milk. Grown at an elevation of 1400m and on the east side in the Ijen volcano complex, these are very high-quality beans. A low acidity paired with a deep body makes a rich, luxurious coffee. Subtle Earthy notes of chocolate and tobacco spices produces a unique flavour that is a must-try. Stove Top Espresso Makers allows high quality brewing in the in the comfort of your own home. A useful Aeropress allows you to make fresh coffee on the go in just 11 seconds. A Cafetiere can also be taken on the go with you to brew excellent fresh coffee. If purchasing beans, you will also need a grinder. Java’s first coffee export was to Europe in 1711. It’s popularity soon flourished and it over took Mocha as being the largest producer. Kawisari Coffee tells us that there were more than one million Arabica trees in Cianjur in 1723. The brand name Java Coffee soon became the most popular and the world shifted from Mocha to Java. A fungal attack named ‘Hemileia vastarix’ then destroyed plantations in 1876, with only plants above an elevation of 1,000 metres surviving. Java replaced Arabica with Robusta and became the number one Robusta exporter in the world. At Adams and Russell, we always roast all our beans ourselves to ensure maximum quality. We roast in small batches in our very own roasting house. We only use small batches as it is easier to get a more even roast and turn the beans more frequently. There are 7 special steps to roasting, which you can read on our blogpost. Once roasted, we hand pack the beans in specially designed packaging that allows them to keep releasing their natural gases. This doesn’t allow any air in, which is the best way to keep them fresh. Wow! Even opening the pack is quite an experience, the smell is fabulous. If you’re a lover of powerful dark roast coffees this is the one for you. For my own tastes this works well as the basis of a big milk drink such as a latte, but is too dominant in a flat white, or cortado. I purchased beans, for use with a grinder and espresso machine. Exactly as described deep earth notes, low acidity. Very satisfied, definitely will get more. Best coffee i have ever had! Tastes like espresso but i make it with my Aeropress….